The only Q/EH Qualified/ Ethical Hacking "Hands-on" Tactical Security skills training AND what you need to know to secure networks, systems and secure information. 30+ hands-on labs focused on 22 areas of the network/enterprise - You will leave knowing how to hack AND secure networks while staying ahead of the hackers! 'when asked by a Navy contractor whats the difference in the Q/EH training than a CEH training class? CEH presents security testing tools modules that only describe and demo tools. The Q/EH presents the process and methodology of security testing with more detail which makes you a more effective security tester. Making the CEH modules more conceptual where the Q/EH is more tactical and hands-on more focused on what you need to know to do penetration testing and security analysis. 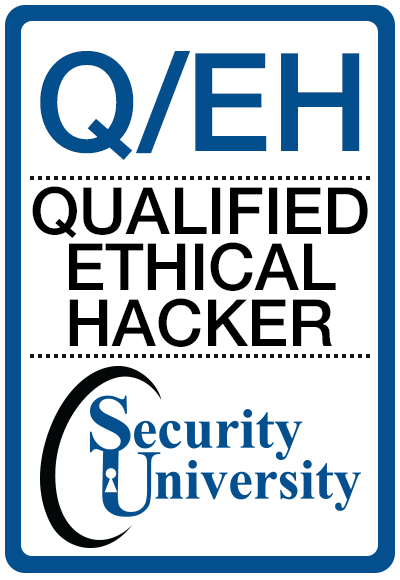 This Intense 5 day Q/EH® Qualified/ Ethical Hacker class provides you with basic to advanced understanding of the hacking tools and hone your skills to discover security weakness in your organization. This class would be before or after Security+, CISSP® is not needed. Are you for SERIOUS tactical hands-on labs? Do you want to know how to block attacks with a single tool? leap over sys admins to defend your box? Step up to Qualified. "Yes. Pls quote me, The instructor was great, he was very knowledgeable. I had CEH™ and CHFI™ training from another vendor and I did receive certification but I wish I had attended your classes instead, I would have learned much more." No death by power point - the Q/EH® study guide engages you in real world scenarios, no old hacking tools, like other Certifying Ethical Hacking classes. More than 35 hands-on tactical security labs to ensure your qualified and validated to defend networks from cyber threats. We are dedicated to your tactical security success. We constantly add new security tools, white papers and update SU hacking labs to keep you motivated and expand your tactical security knowledge & hacking skills. Core Impact 7-Day LICENSE FREE CD with every class registration! Certificates are awarded to those qualified individuals who validate their security skills to a prescribed qualified level of tactical hands-on information security experience, comply with a professional code of ethics, and pass rigorous examinations on the Q/ISP Body of Knowledge for information security. This has been a fantastic experience for me, and I look forward to working with you in the future for my IT training needs. Sondra, I can already tell CISSP, Q/EH, Q/SA, and Q/PTL will be the best $7K investment I have ever made for my future. Good luck with the 8570 certification!! See you in 2 weeks. One of the concerns that I have is most of the cert's which exist on the list tend toward paper IA personnel. Over the years, I have seen this in the MSCE® and CCNA® as examples. I have more than my fair share of certifications and I have taught cert courses for over 20 years. I sat through Security University's Q/EH class which was fairly impressive and asked a large number of questions concerning their other exams. Looking at the challenges that the DoD is attempting to address, the Q/ISP strikes me as more appropriate than most of the current exams. This course/exam group is multi-functional, each section dealing with a very IA oriented goal/need. The Q/PTL which is part of the Q/ISP requires a written test, a three hour examination of a specialized test scenario (also graded) and finally a two week period to complete a full diagnostic report. One of the student reports was 20 pages in length. Definitely a high level of competence to receive a certification. DoD Sparks. Q/EH® Qualified Ethical Hacker Certification exam tests on the following domains. • What is SNMP enumeration? • What are the steps involved in performing enumeration? • What is SQL injection? • What is a Trojan? • What is meant by overt and covert channels? • What are the indications of a Trojan attack? • How does reverse connecting Trojans work? • What are the countermeasure techniques in preventing Trojans? • What is Metasploit Framework? • What is the need for physical security? • Who is accountable for physical security? • What is Social Engineering? 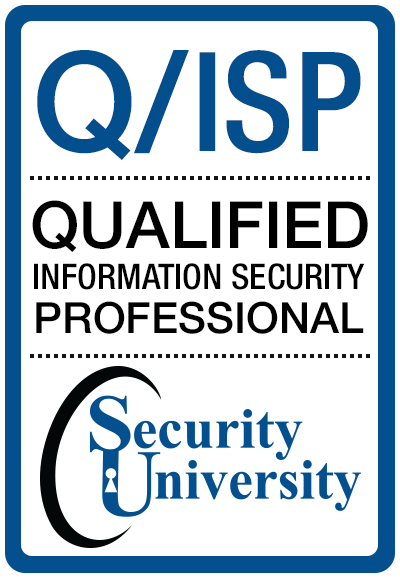 What is a Q/ISP® "Qualified"/ Information Security Professional Certification? The Q/ISP, Q/EH, Q/SA- Q/PTL, Q/FE & Q/ND certification exams do not require training classes. 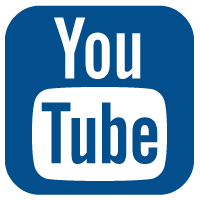 The Q/ISP certification is selected to be reviewed for 8570 certification list. What is a "Qualified" Q/ISP? A Qualified Q/ISP has attained 4 SU Q/ISP® Validation Certifications. Each Validation Certification is attained by attending the Q/ISP tactical security skills certification prep class to validates your tactical security skills - Q/EH, Q/SA - Q/PT License, Q/FE & Q/ND. Each validation & certification prep class is 5 days of hands-on labs, with an online certification exam AND a intense hands-on "Practical" exams. You have to pass both the On-line certification exam and the "Practical" validation projects before you earn a SU Q/ISP (Validation) Certification. The Security University Security Pyramid represents enlightenment, man's breaking free of stagnant education and reaching towards the supreme source of security skills training and validation, globally illuminating risk preparedness. Prior to 2008, if you attended Security University's EC-Council® Authorized CEH®, ECSA®, CHFI® classes and passed the certification exams you are eligible for the Q/ISP® Qualified/ Certifications but still have to pass the Q/ISP tactical certification exams. Since 2004 SU has certified over 3500 ECSA®/ Q/SA® Qualified Security Analysts Penetration Testers in 7 countries! Customize your Q/SA® Q/PTL training program today! US Congress wants hack teams for self-penetration download for more.. The CEH™ Certification is provided exclusively by EC-Council® and its ATC's, Security University is not sponsored by, approved by, or affiliated in any way with EC-Council®.